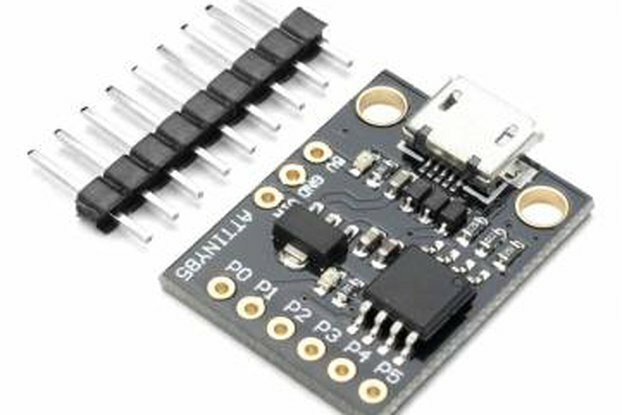 What is GroveHat for Arduino Nano? Seeed Studio's Grove is an ingenious way to create hardware interoperability between accessories made for maker. 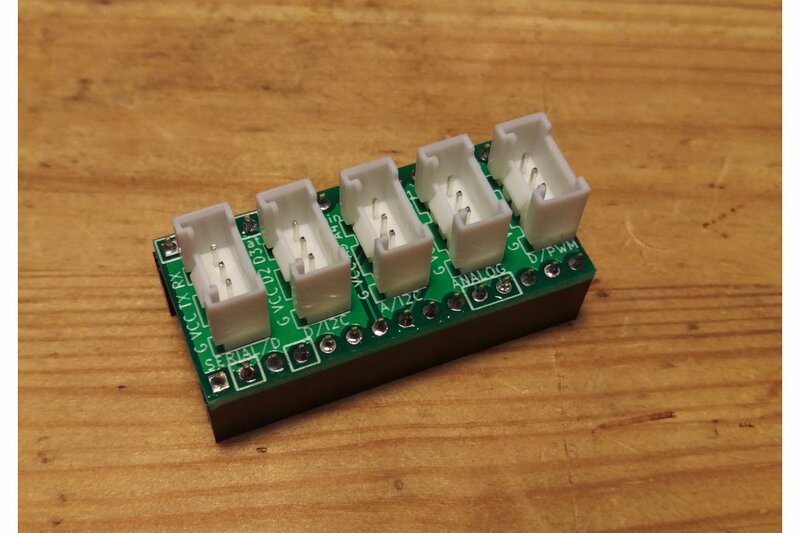 It uses a standard socket & pinout, supports more than 100 accessories already (from sensors to output, from displays to wireless communication). Breakout boards make several microcontroller & computer platforms to be able to use these accessories (full scale Arduinos, Raspberry Pi, Intel Edison and Galileo, VIA VAB-820, and so on). 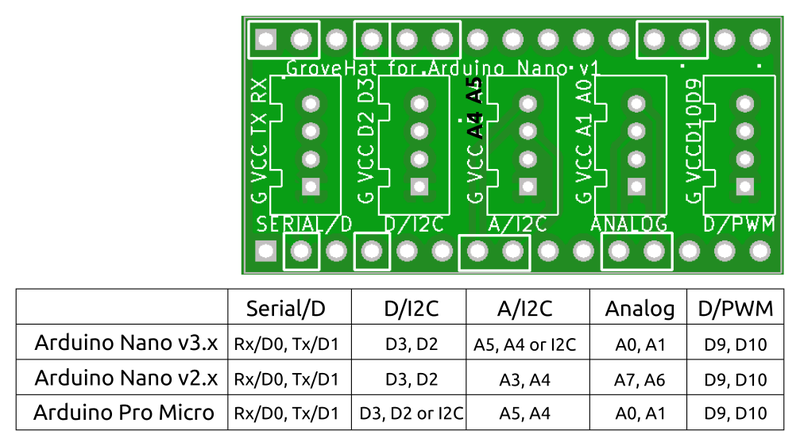 GroveHat now brings access to all those accessories to Arduino Nano as well! This breakout board targets the v3.x series of the Arduino Nano (and compatible clones), while trying to be usable with other boards like the Pro Micro and v2.x series of the Nano. It makes available Serial (TX/RX) line, Digital, Analog, PWM, and I2C functions, while maintains the same form factor as the Nano board. Since all the above boards have slightly different pinout and very little space on the breakout board to indicate all the possibilities, the silkscreen tries to indicate the usage for the Nano v3.x, while additional documentation shows the functions on other boards. These issues will be fixed in future PCB runs! 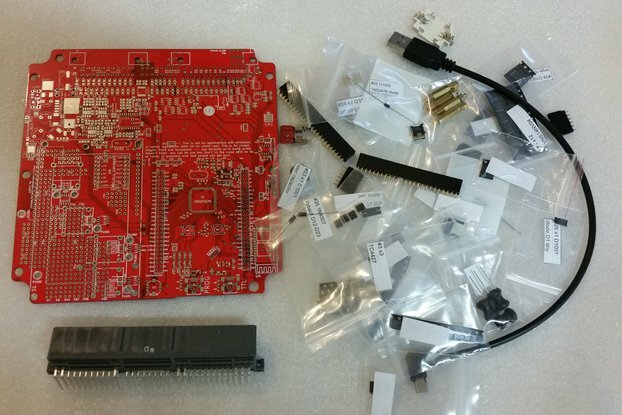 The board is released under the CERN Open Hardware License 1.2.